A seemingly normal and happy day became a nightmare to what recently happened to an 80-year-old Taoist temple in Tampines. An unexpected fire incident at the Poh Ann Keng temple severely hit its front hall, prayer altar, and other mini statues on Feb. 9 in the morning, which was the fifth day of Lunar New Year. At about 7:00 am, the Singapore Civil Defence Force (SCDF) was at heightened alert after the fire broke out at 95 Tampines Link, where the temple was situated. SCDF cited the fire went quickly putting the praying altar under but was later called off through a water jet. It was fortunate no injuries were ever recorded. Currently, SCDF is currently checking what caused the fire. When asked, a certain Mr. Tan, 56, a temple volunteer, cited the damage was between $300,000 and $400,000. He added he was very saddened by the incident. Several statues were gone in the fire and believed to be as old when the temple was built. As reported, about 30 statuettes were seriously damaged in the blaze incident. Xie Laifa, 70, a temple director, noted the almost century-old temple had shelled out tens of thousands of dollars for the renovation of the temple in November 2018. Laifa shared the temple had several installations like a new exhaust fan and repainting jobs. Some of these statues were ordered from China. He noted seeing them all burned and gone to cinders was very unexpected. Tan said they have talked to engineers to assess the damage and whether it is safe to begin the repair works. 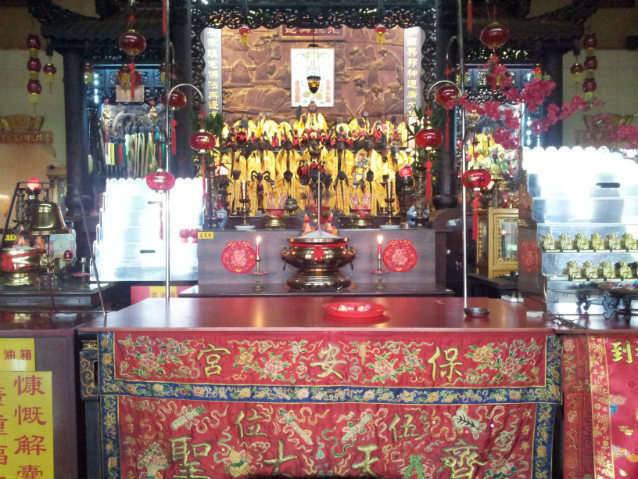 Poh Ann Keng temple, popular for its five statues of the Monkey King, has a historical past of over 80 years when the late philanthropist Tan Kim Seng established the temple in the 1930s. As cited in the temple’s website, most of the artifacts in the temple were more than a century old. The online site added the temple’s location underwent several shifts for the past 80 years. Poh Ann Keng was initially found at Geylang then after World War II, it was moved to Peck Seah Street, serving its devotees. In 1990, it returned to Geylang prior to being shifted to Upper Boon Keng Road three years later. In 1996, it went to Braddell Road and moved back to Geylang after three years. In 2004, its new premises were opened in Tampines and stay there ever since.